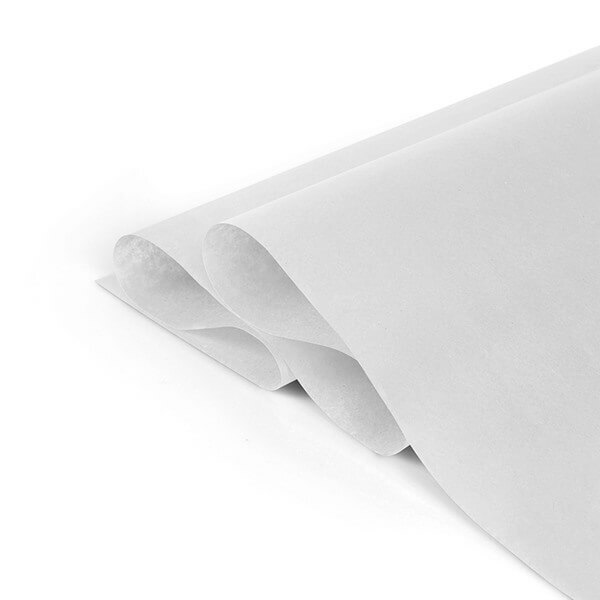 To complement our gift packaging range we stock a great quality White Coloured Colourfast Standard Machine Glazed Tissue Paper that is ideal for any use. We are now stocking this Standard tissue in over 10 colours! Please note that we are currently temporarily stocking slight variations in our standard white tissue sizes due to the high demand for stock. This White M. G. Acid-Free Tissue Paper is commonly used by retail stores, florists, garden centres, arts and craft stores. Acid-free is also perfect for wrapping and packing items our boutique bags or twist bags. Our stock of Standard Machine Glazed Tissue Paper are made from 17gsm paper, is 100% pulp dyed and we are able to overprint them with your chosen design.